Do you belong to the category of ‘Freelancers’? If yes, then congratulations! You can work from the comfort of your home and have all the freedom to decide your working timings and style. But, if you aren’t, then you must be spending a significant amount of time every day in your office. Irrespective of the size of the organization and the facilities available therein, you are required to do your best and achieve your goals. If everything in your office from the doormat to the coffee machine is perfect, then you are good to go! But, even if a single aspect is faulty, you are bound to experience dissatisfaction. And if this aspect is air conditioning, then the responsibility of the entrepreneur or manager increases greatly! In your life, you must have come across an office or any other workplace in the suburb, where the temperature is unfavourable despite the presence of aircon. 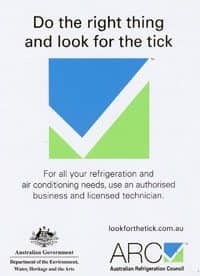 It happens in the situations where the correct type of aircon is not bought, or aircon is not installed at the right spot, and so on. Though, it seems like a small matter, the consequences can be quite dreadful. 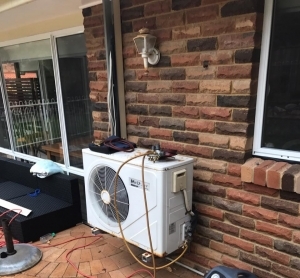 And so, to ensure that it doesn’t happen to you, hire the air conditioning installation firm in Northern Beacheswhich is highly experienced and professional. In our long journey, we have handled several small and big commercial projects, with our exceptional services, skilled electricians, and personalized approach. 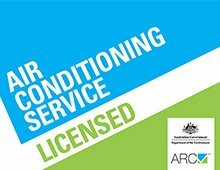 How do we perform commercial air conditioning installation in Northern Beaches? The technicians take into account, the space, number of people, location of doors, windows & curtains, etc., and then suggest the most suitable type and size of aircon for your premises. They also consider the climatic conditions prevalent in different months of the year to arrive at this decision. They discuss the information about the said aircon type, including available brands & models, price range, warranty, etc. If you want, they can clear all your doubts regarding why certain aircon type or model is not appropriate for you, so feel free to ask any question! They determine the spot at which aircon should be installed so that every employee gets cool air in the summer and (if you are opting for a reverse cycle air conditioning system) warm air in winter. If any alteration in the existing electrical wiring system is needed, they would inform you about the same, and also help complete it. They install the air conditioner using latest tools and practices so that you can be benefitted in the long run. Last but not the least they clean all the clutter to provide hassle-free service. Airflow high over one employee and negligible over another is the most troublesome situation as it not only reduces the comfort level of the staff but also affects their efficiency. Our aim is to prevent such incidences, but first, we need you to reach us for that!